An audit report is the document where all the findings or data gathered during an audit is recorded, as well as the results of audit after the assessment. Although some of the audit results or opinions may contain or follow the same criteria, audits are still conducted differently depending on the type of organization being audited and what type of audit is to be conducted. Audit reports are also the same. One particular type of audit report is an information technology audit report or an IT audit report? 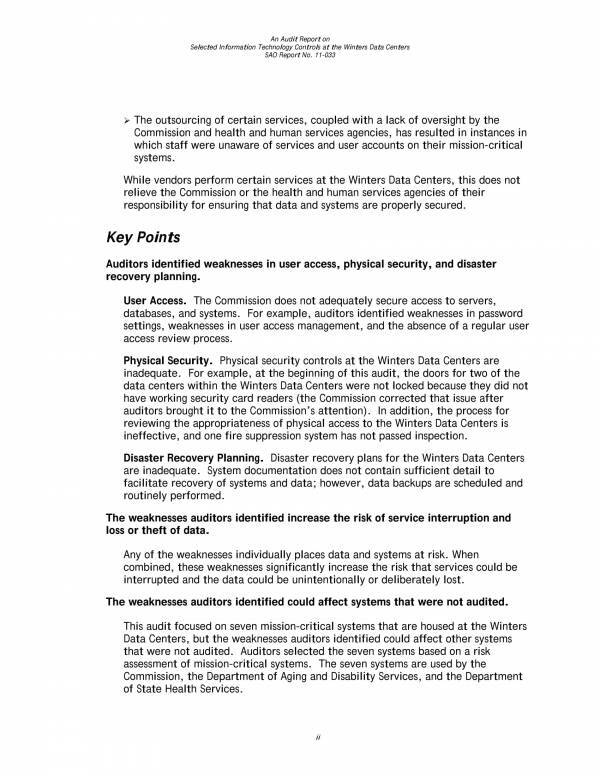 What is this audit report about and what is its purpose? In this article, we will find answers to those questions. We will also learn about the types of IT audits and the IT audit process. 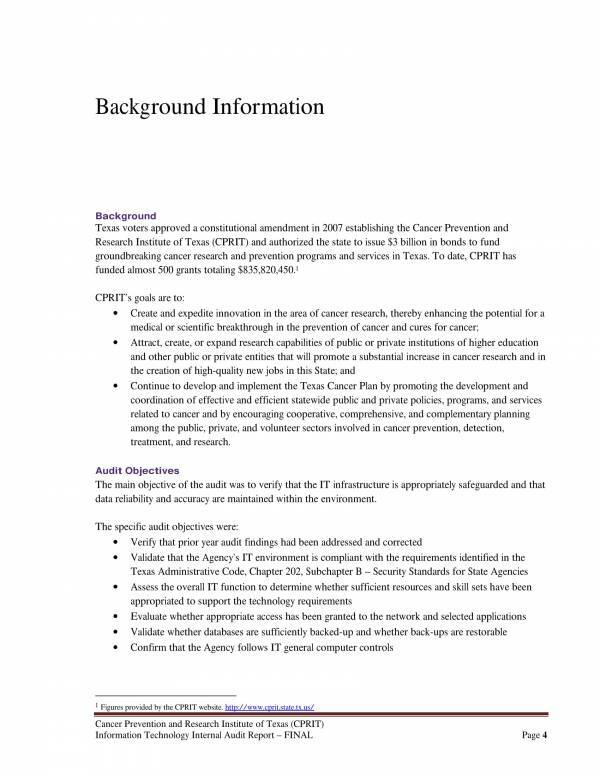 Information technology audit report samples and templates are included to serve as your reference. Feel free to check them out. 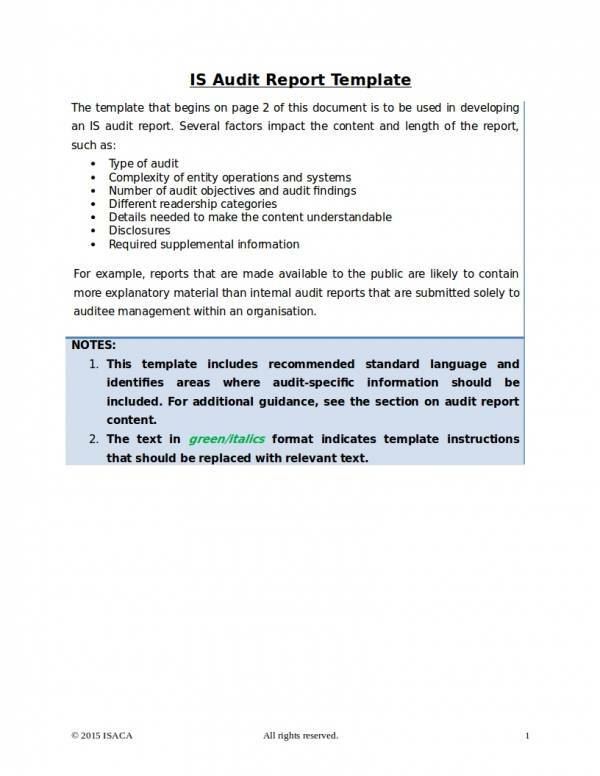 What Is an Information Technology Audit Report? 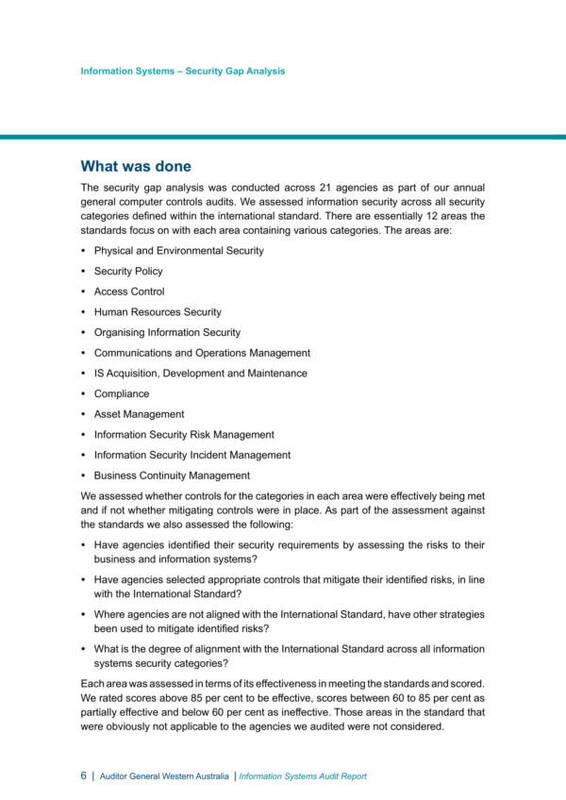 Information technology audits were formerly known as electronic data processing audits or EDP audits. 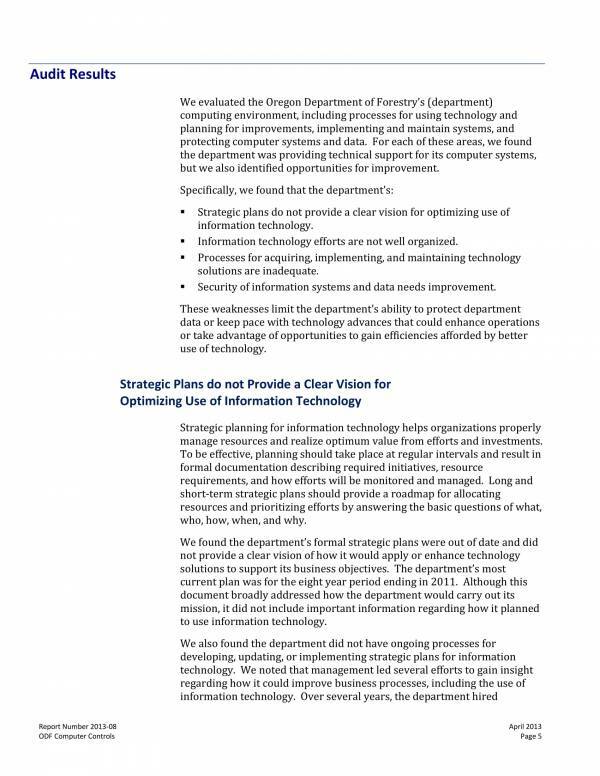 The audit is conducted so that management controls of an information technology infrastructure can be examined. Just like other types of audits, an information technology audit is conducted to assess if it is operating effectively based in the goals and objectives of an organization. An information audit report is the document where the findings of the audit are recorded and presented. It can be viewed as a grade or ratings of that institution in terms of information technology management control. 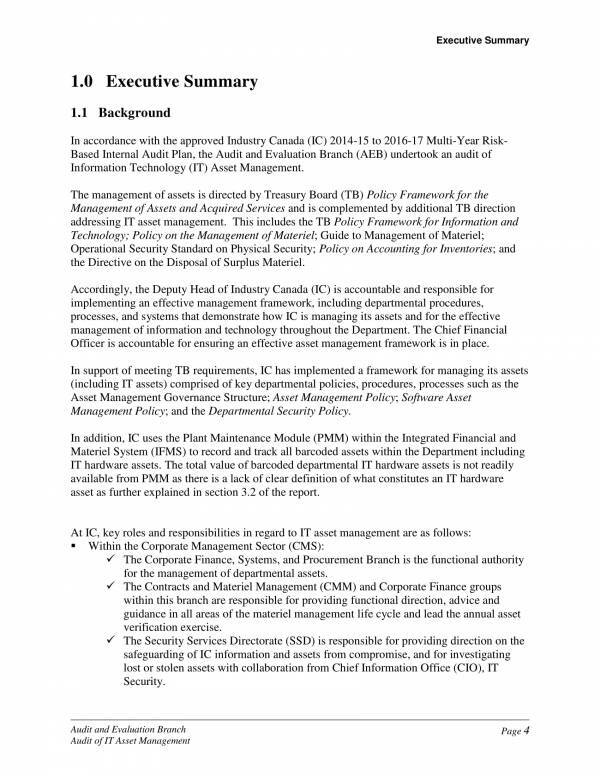 Other known known names of an information technology audit are automated data processing audit or ADP audit information systems audit, and computer audits. It is also conducted in conjunction with other types of audits, like internal audits and financial statement audits. Every organization has their own set of information that they need to keep out of reach of outsiders, especially from scammers and fraud. This information is kept safe and secured with an effective information technology system. The purpose of an information technology audit is to evaluate the system’s effectiveness and efficiency, security protocols, internal controls design, etc. The audit also functions to evaluate how well an organization keep their systems and assets guarded and protected. Other related articles that you may find interesting are Safety Audit Report Templates, Compliance Audit Report Samples and Templates, and Clinical Audit Report Template. The three types of IT audits are technological innovation process audit, innovative comparison audit, and technological position audit. These three types are systematic approaches in carrying out an IT audit. This type of audit is used to make assessments and measures an organization’s length and depth of experience when it comes to their selected technology. Other assessments done are on the related market, the organization structure and industry structure, and many more. An innovative comparison audit requires the assessment or examination of an organization’s facilities for research and development. The innovative abilities of an organization are analyzed and compared to that of their competitors. 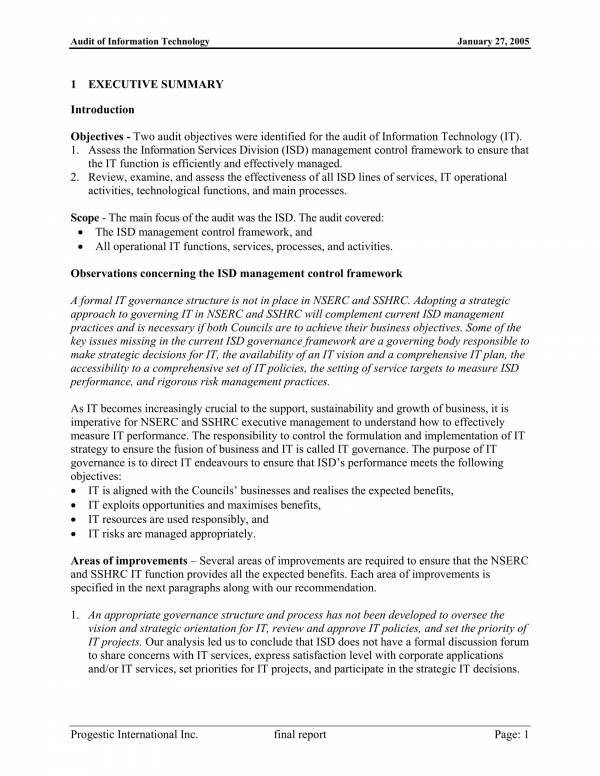 This type of information technology audit is conducted to review the technology that an organization already has and the technology that it still needs to add. You may also check out other related articles are Internal Audit Report Templates and Sample External Audit Reports. What Is the IT Audit Process? Different types of audits follow different processes because different things are done in order to gather and come up with the appropriate audit report. Information technology audits also follow audit process specifically designed to make proper assessments or examinations in that particular field. These basic steps are planning, studying and evaluating controls, gathering of data and testing, creation of the audit report and reporting, follow-up and then another report. Planning – A plan is needed on almost anything that you must do. A plan allows you to organize tasks and activities that need to be done during an audit. Having plan will ensure that you will be able to gather important information that is relevant to the audit being conducted. 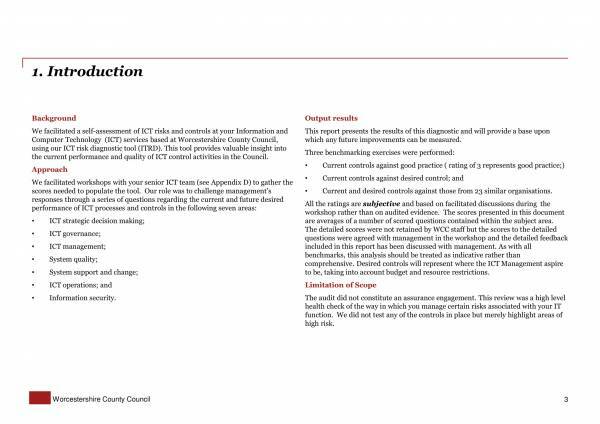 This is also the step where the goals and objectives of the audit are determined. Studying and evaluating controls – After the planning process, an auditor or a group of auditors need to study the system management controls that are to evaluate in order to be able to conduct the audit properly. Proper evaluation can only be conducted if the entity conducting it has enough or the right amount of knowledge regarding the system to be evaluated. That is why auditors must first study it before doing the evaluations. Gathering of data and testing – After the study, the next step is to gather the needed data or information. This is part of the evaluation process. Data needs to be gathered first so that there is something to be used as evidence or basis for evaluations. Creation of the audit report and reporting – Data that has been gathered will be grouped or categorized and will then be analyzed by the auditor or auditors who conducted the audit. The audit report will contain a record of the data gathered as well as a record of the finding for each part or areas that has been audited. This is also where the audit results or opinions is given and explained. Follow-up – A follow-up is done if the result of an audit is unsatisfactory or if there are things that the organization needs to change or improve. This ensure that the organization is taking the results of the audit seriously and it also shows how committed they are to guard and protect their systems and assets. 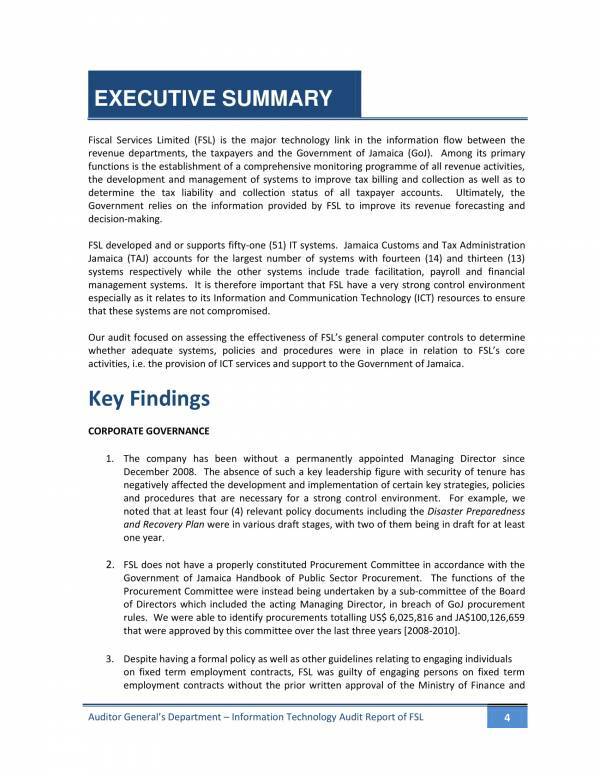 Final Reporting – This is the report created and presented after follow-up has been made. It could be an endless cycle until the organization is able to do as what the auditing team advised and improve on what they lack. 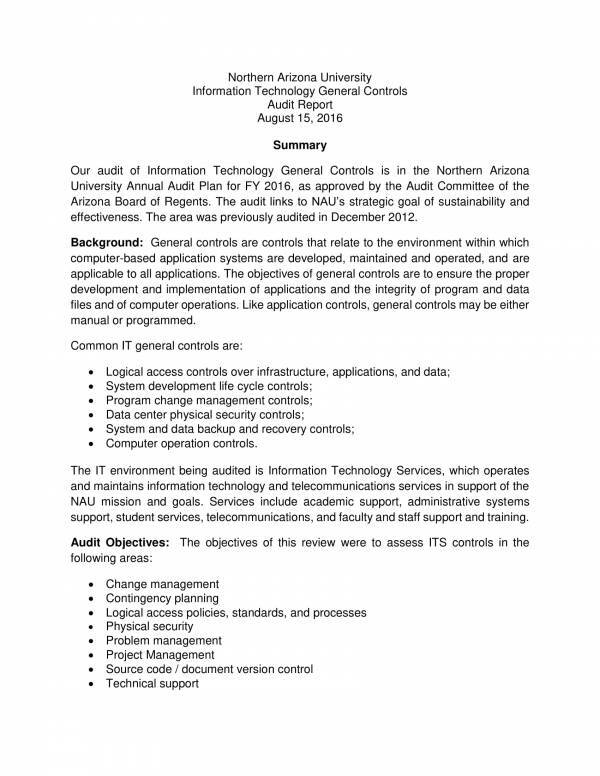 The final report is the last audit report created by the auditing department. 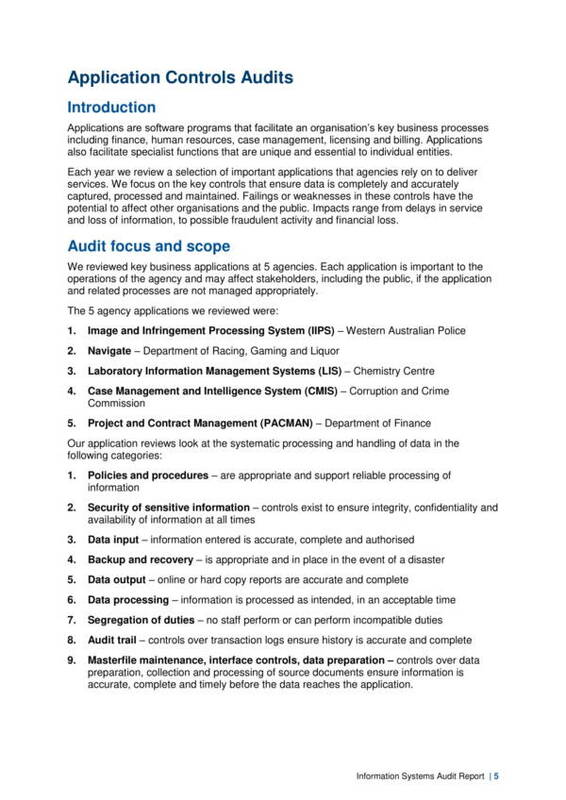 What steps in the IT audit process do you find similar to other audit processes? I say it is the gathering of data and the evaluation of data. There is indeed a lot to learn when it comes to audits. We hope that you are able to learn from this article. You may find other related articles on our website, like Business Report Writing Samples & Templates, Risk Assessment Samples and Templates and Company Report Samples and Templates.